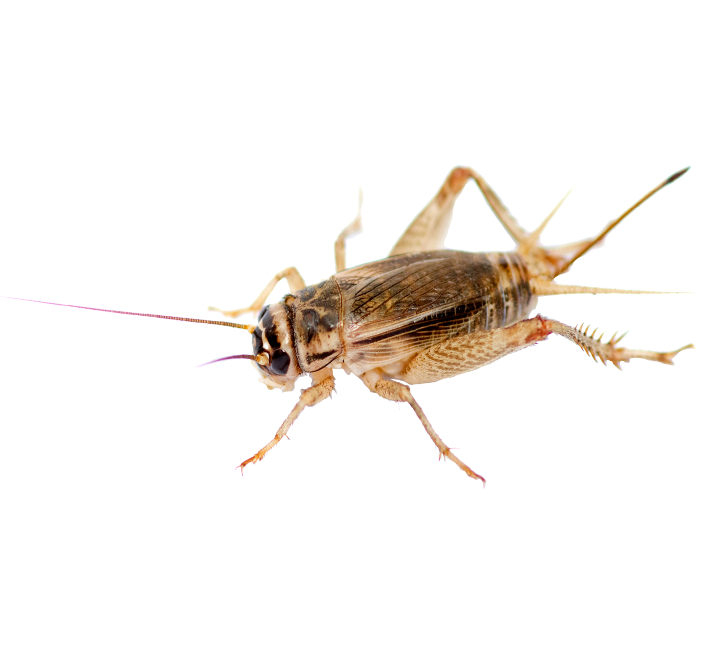 Do you have a cricket pest control problem in your home or at your place of business? If you’ve ever gone camping, you may have been lulled to sleep by the sound of chirping crickets in the distance. While crickets can provide peaceful ambiance while outdoors, they are nothing but a nuisance when indoors. While a cricket infestation might not seem like a huge deal compared to a scorpion infestation or a mice infestation, they can cause some serious damage. Not to mention, these jumpy little critters can give anyone the heebie–jeebies. The fact of the matter is that crickets can be tricky to get rid of, and reproduce at a rapid rate. When you spot the early signs of a cricket pest control problem, get in touch with Arizona Organic Pest & Termite Control. As a leading pest control company, we can help you with whatever problem you’re facing. Our commitment to providing you with the highest level of service that is unmatched. Many homeowners think that harsh chemicals are needed to get rid of insects, but this simply isn’t true. On the contrary, natural products are just as effective and safe. Here at Arizona Organic Pest & Termite Control, we look to Mother Nature for the answer. We take great pride in using green pest control methods and treatments. You can rest easy knowing that your children and pets are not at risk. If you are looking for a trusted cricket pest control extermination company, you needn’t look further. Get in touch with us today and we will gladly provide you with a quote and answer any questions that you may have. Crickets like moist, dark spaces outside. The most effective way to prevent them from entering these spaces is by sealing any cracks or crevices. This may include areas around doorways, windows, and soffits. It’s also important to note that crickets tend to make their nest among clutter and debris, so keeping these spaces free of piles of clothing, leaves, and debris goes a long way in preventing crickets from setting up house. Even if you have a cricket pest control problem, there’s a chance that you’ve never actually seen them. This is because they stay hidden during the day. However, you may have heard them chirping loudly at night, or noticed evidence of their presence. Like moths, house crickets are surface feeders, which means they’ll leave holes and pulls in fibrous material. To learn more about cricket pest control and how to eliminate them safely, contact a Arizona Organic Pest & Termite Control specialist for a free assessment.